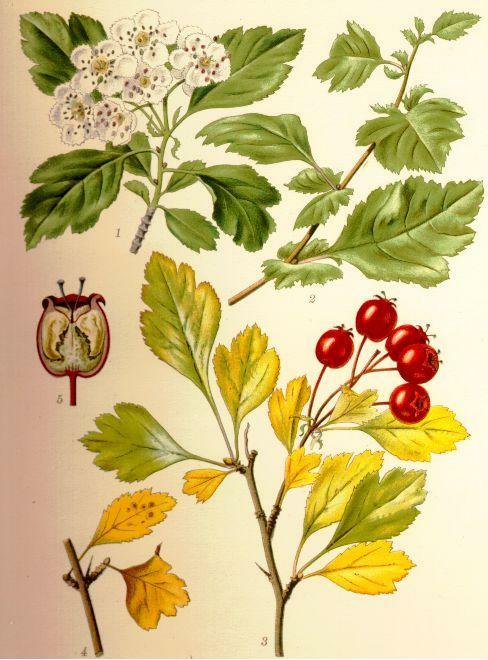 Crataegus monogyna is a small tree or shrub to 10 m (usually much less), densely branched; roots associated with ectomycorrhizal fungi (Dickinson 1985), spreading, bark dark, thorns to 2.5 cm. Leaves Alternate, to 5 cm long, broadly egg-shaped in outline, deeply 3-7 lobed, lobes narrow, pointed, margin toothed. Flowers white, with one style, fragrant, May. Fruit fleshy, red with one large seed, flesh yellow, Sept.-Oct.
Habitat: Horticultural, rarely escaping. Apparently not shade tolerant.